White Oaks was once the liveliest town in the New Mexico Territory following the 1879 discovery of gold. But gold made White Oaks, and no gold—and no railroad—broke it. 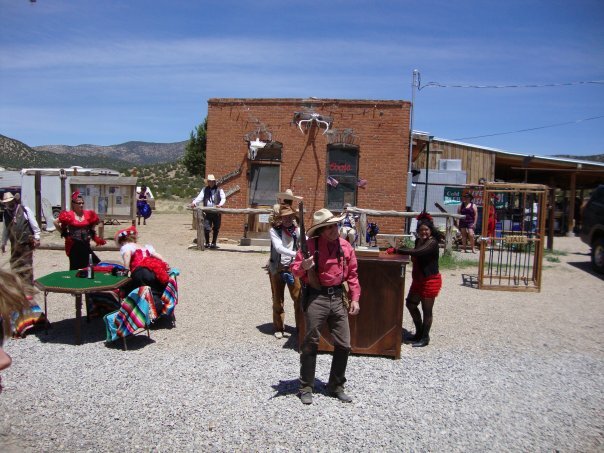 Today, a quiet ghost town, the community is home to a couple dozen maverick residents and the No Scum Allowed Saloon, ranked as one of the top 10 western bars in the country. Housed in an 1884 building that was first an attorney’s office, then a print shop for one of the town’s early newspapers, the name comes from one of the “Young Guns” movies where White Oaks was depicted as the home “of 756 Respectable People NO SCUM ALLOWED.” For several years, the bar was run on the honor system: Patrons would fetch the key from under a rock, get a drink, leave their money, and lock up. The saloon, known locally as the White Oaks Bar, has seen horse races, shoot-outs, and played host to multi-generation patrons who come for food, drink, live music, and dance. Owner Karen Haughness is the first woman to oversee the establishment. The No Scum Allowed Saloon is the perfect place to enjoy drinks of your choice. Stocked with a full bar, you can enjoy beer, wine or the cocktail of your choice as you relax and take in a bit of the Old West. We also offer a variety of catering options throughout Lincoln County.